The Lacey the not so Lacey Headband turned out to be a much wider headband than I thought. 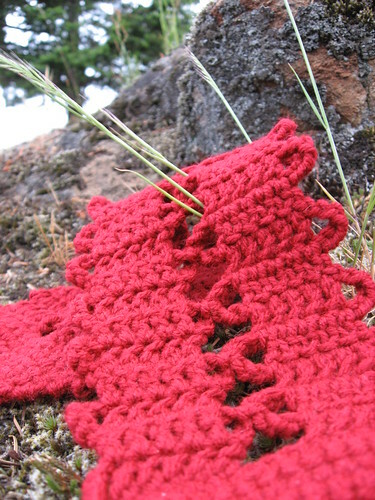 I used Red Heart in Ranch Red and a size H hook and my headband measures about 4″ wide. I’ve been hiking around Moran State Park a lot lately and this headband with a low ponytail is perfect. I like having my hair out of my face when I’m on a long walk. I haven’t taken my camera with me on the trails yet, but I really need to. Late spring and early summer is so beautiful in the park! Apart from a hiking headband, the reason I wanted to make the Lacey Headband was to sample the bruges lace technique. 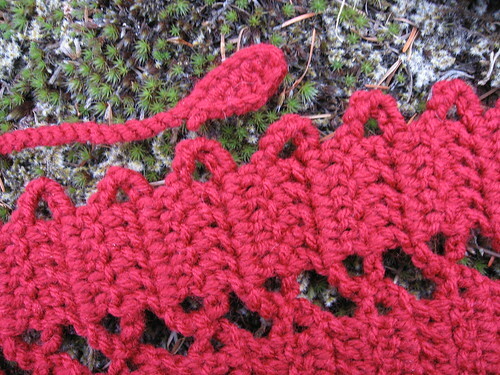 From what I understand, you crochet a long strip with chain loops hanging off the side. 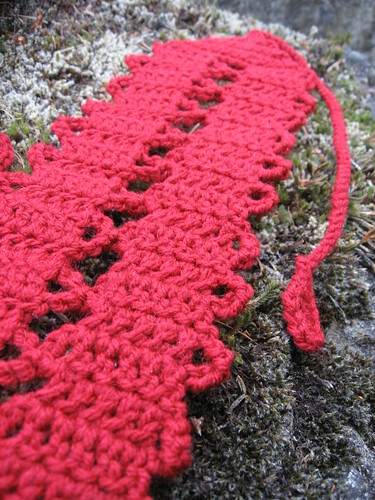 When you make the second strip the parallel chain loops are slip stitched together. This makes an interlocking, lacy fabric. The center strip looks like the X-stitch to me. The pattern is a really nice introduction to bruges lace. The written directions are very clear and there’s a chart included. I’m not a full fledged chart reader, but if you’re a visual person, it can really make the process clearer. I’ll leave you with an evening photograph. 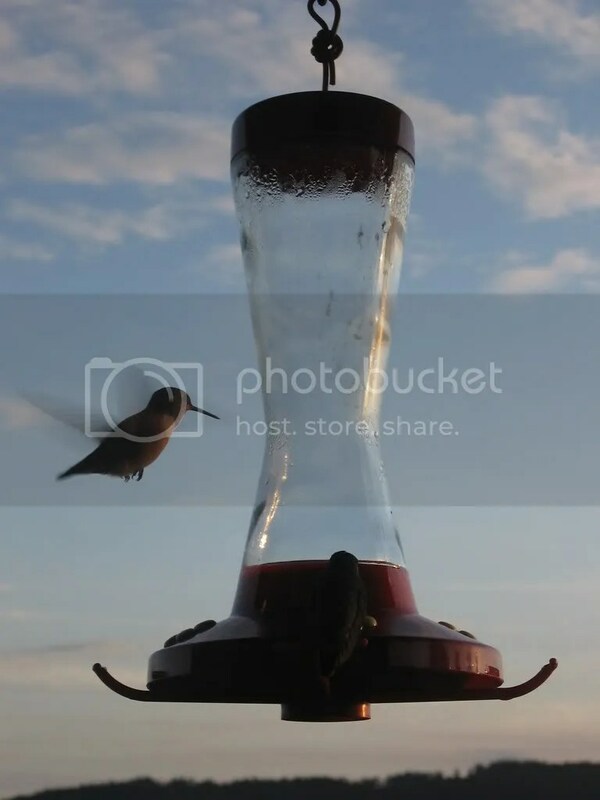 The hummingbirds around the house stop by the feeders all day, but at sunset they come out in swarms! You can see a slide show of the other hummingbird pictures I took on Slide.com. Hummingbirds have the fastest wing beats and the largest brains proportionate to body weight, of any other bird.